Introducing the Havasu II, a perfect choice for your family. 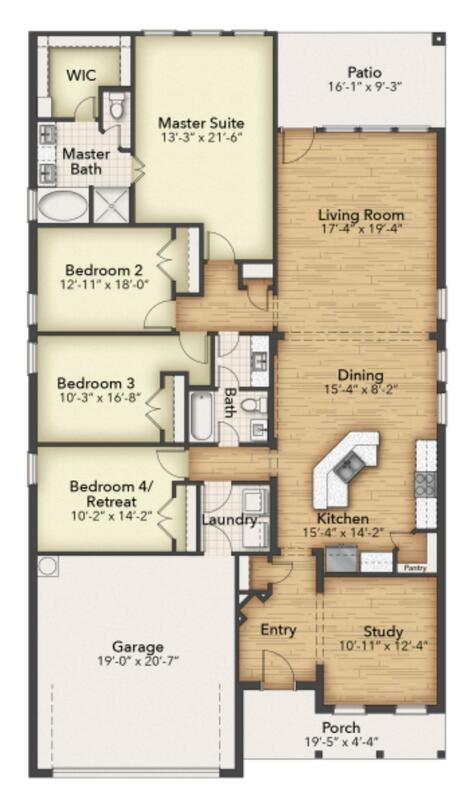 A large single-story plan showcasing three bedrooms, two bathrooms, a children’s retreat or 4th bedroom option, formal dining room and an island kitchen with breakfast nook. This floor plan is flexible and functional. The closets are roomy in additional to multiple linen closets. You can never have too much storage! A corner kitchen pantry just adds truth to the Havasu being one of our top, spacious single stories.